Being new I naturally am cautious and want to see if I may have ruined a beautiful piece of meat. 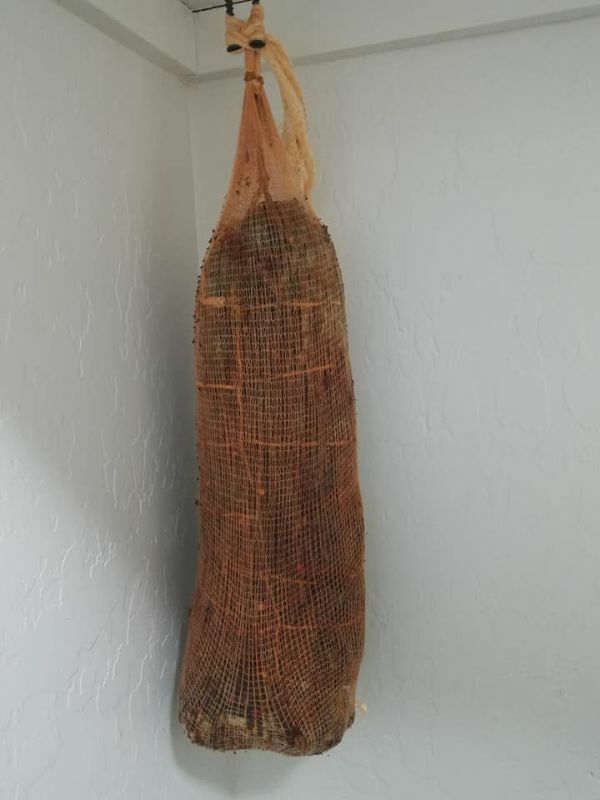 I made a capicola last week and it is hanging to dry. The Coppa was 2400g (give or take). I mixed 1360g of Kosher salt with 50g pargue salt #2 and covered the meat for about 12 hours. After 12 hours I rinsed it in water, patted dry, rinsed in red wine, patted dry, smeared in garlic paste, rolled in black pepper, red pepper flakes and paprika. Trussed and placed in ham stockinette - hanged in 73F room with 65-70% humidity. It has been handing since 07/04/18 and has dropped to 2050g so far. I just want to make sure this meat will A) Taste good and B) Won't make me or my family sick. When I do my curing, I use TenderQuick, which is good for a wide range of curing applications and is very user-friendly. It contains both Sodium Nitrate and Sodium Nitrite. Since I don't use the cure you mentioned, I cannot say whether you used the appropriate amount for the weight of your meat; I am also not sure if your curing time (12 hours) was correct. At first glance, it seems to me that your curing time is a little short of what it seems like it should be, but once again, I am not familiar with this cure. We have a few members who have good experience with that cure and hopefully you will hear from one of them soon. Cure time would be approx a week no rinsing required. Room temp would be approx 50F-60F. Humidity would need to be closer to 90 % to keep the respiration open. Thank you very much for the information, Murray! This scenario caused me a very sleepless night. Because I honestly can not even come close to condemning this recipe. Because the salt is normally 2%-3% of meat weight and this recipe indicates that over 50% of initial meat weight was applied in Kosher Salt - logically I have doubts, But also because the cure time was so short and then it was rinsed in both water and wine, it may be just fine. Something is bothering me because the look of the product in the picture does not say Newbie-First timer to me. It is very well tied. The shape of the meat does not scream Coppa to me because it is so symmetrical and looks so uniform. I wish every success to the OP and it may well be delicious. I wonder where the OP got the recipe, because it may have been tested by someone with more experience than I and be just fine. Colour me well and truly confused and yet very intrigued. I too am a little confused by this recipe. At first glance my thought was that 12 hours is nowhere near long enough for the cure to penetrate the entire muscle. 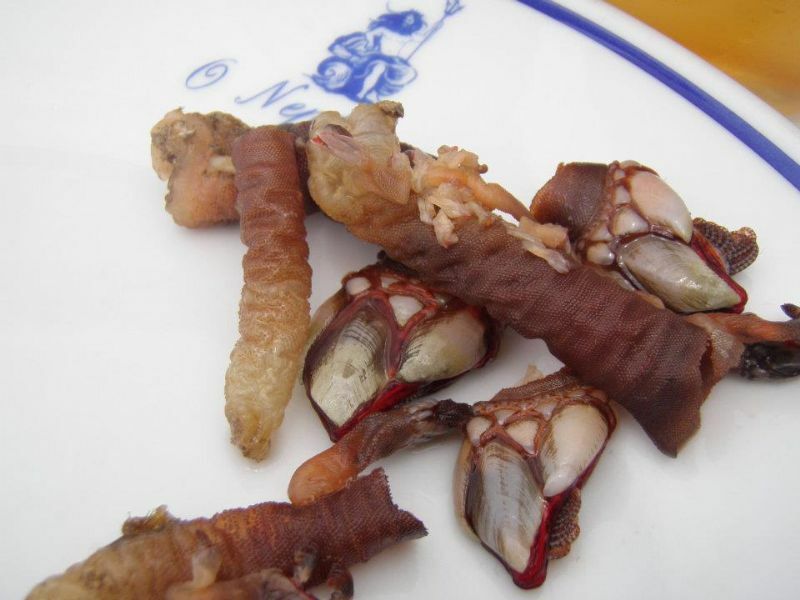 Then reading Percebes response the salt amount is extremely excessive. I'm not sure that amount of salt would have any affect on the cure absorption rate or not but I would think not. I'd be curious to see the outcome on this, and I'd love to see a sliced shot to see if the cure did penetrate to the center or not.